Have you heard? There is a new machine in town! It’s pretty amazing too. If you haven’t heard, then I’ll tell you all about it today. It’s the Cricut Maker. 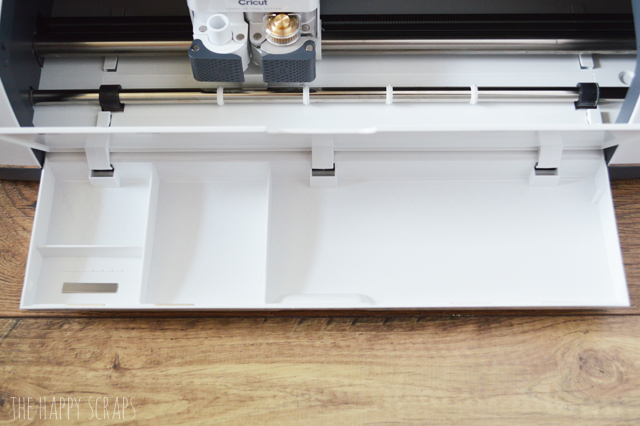 Today I’m going tell you the differences between the Cricut Maker vs. Cricut Explore Air 2 machine. They are both amazing machines, it just depends on what you want to use the machine for, to know which machine is going to be the best choice for you. This is a sponsored post written by me on behalf of Cricut. All opinions and ideas are mine. This post contains affiliate links. The Cricut Maker is the new machine that is on the market. 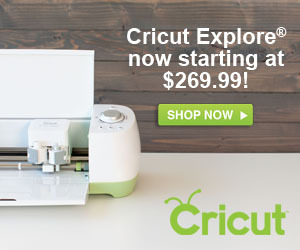 The Cricut Explore Air 2 is not going anywhere either. It is a fairly new machine as well, and even with both machines, I still love my Air 2 and will use it often too. 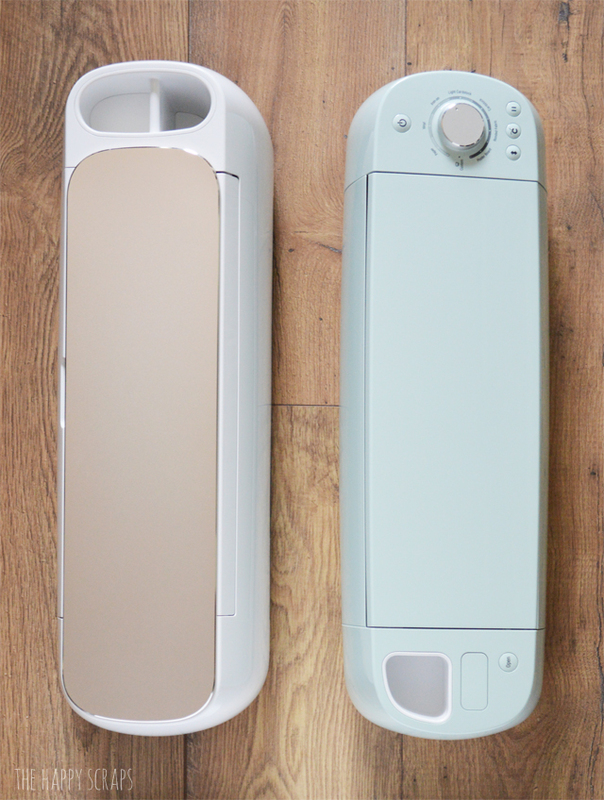 Some of the differences with the new Cricut Maker Machine and the Cricut Explore Air 2 are more obvious than others. The storage slots on the left side of the Maker are awesome. There are two slots. One is shorter and has a little padded area in it so you can put blades in it as you are changing them. The deeper slot at the back is great for pens and tools! The Cricut Explore Air 2 has one slot and it is shorter. It is still great for holding tools and pens. The Explore Air 2 also has a slot for cartridges so you are able to link those to your account if you have them. I shared a post about cartridges and if they are necessary here. On the left side of the Explore Air 2, you will also find the open button. The Cricut Maker does not have an “open” button, you simply pull up on the top and it opens up. It also doesn’t have the slot for the cartridges. The blade and pen carrier is similar on both machines. This is the Cricut Maker. Can you see the brass gear? That is the magical part of this machine. It is what makes the miniature rotary blade work. Here is the rotary blade installed in the machine. It’s pretty amazing to see it work. When you use the fabric mat, you don’t have to put any kind of backing on your fabric, you can just cut it and this blade will cut pretty small too! It is amazing! The Cricut Explore Air 2 blade and pen carrier has two slots as well. This machine is not able to hold the rotary blade. This machine is still able to cut a large variety of mediums (I talk more about that here) and is an amazing machine. 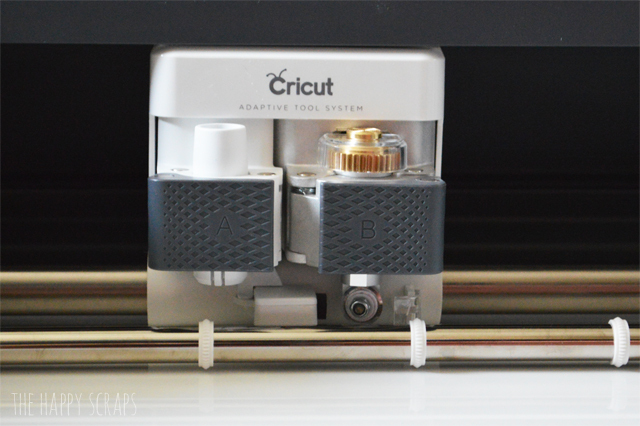 The Cricut Explore Air 2 uses the fine-point blade and it works well and last a long time. The buttons on the Cricut Maker are under the top lid. They are exposed when the machine is open. Also, this machine doesn’t have a dial to select the material you’ll be cutting. Rather than rotating the dial to what you are cutting, you are prompted to select your material while in Cricut Design Space. 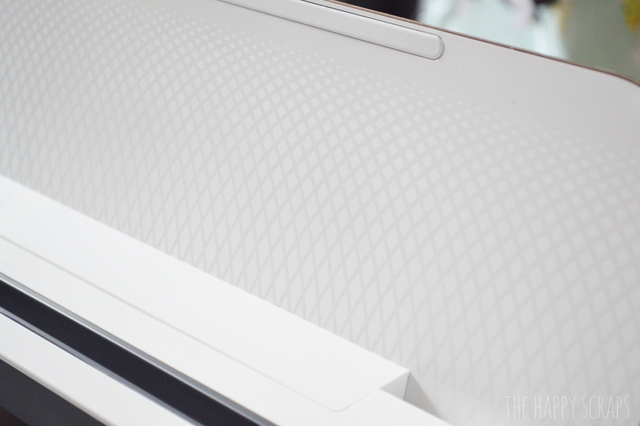 The Cricut Explore Air 2 has it’s buttons to the right side of the top lid. It also has the smart dial on the top of the machine. You turn the dial to what material you are cutting and then go from there. If you are cutting a custom material, then you can select that from in Cricut Design Space. I’m really excited about the storage space available on the Cricut Maker machine. It is deeper and has more sectioned off compartments than the Cricut Explore Air 2, so it is able to hold more tools! 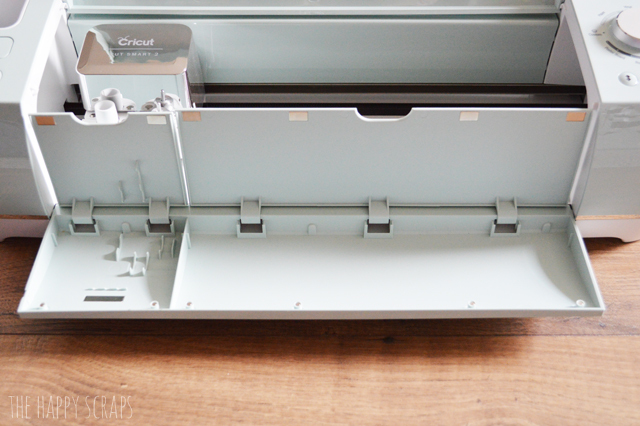 The Cricut Explore Air 2 also has a storage compartment, but it is slightly smaller. 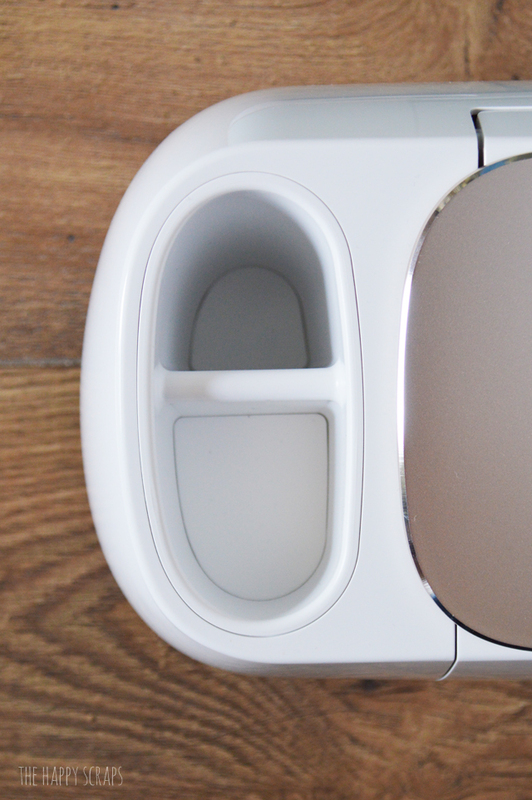 Both machines have a magnet in them to hold extra blades, as well as magnetic closure on the storage compartments. Last but not least, the Cricut Maker machine has a few added features that I think are a great addition! It has a slot for you to place your phone or tablet if you are using the app to create and cut from. 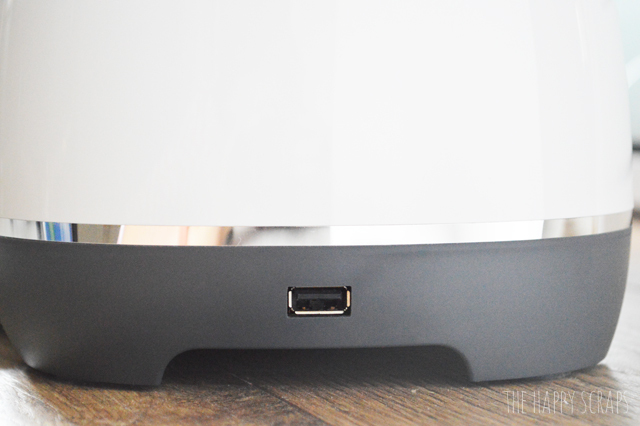 It also has a USB port, so you are able to charge your device while it cuts! And I really like the cool design that is inside the lid! Isn’t it fun?! I’d love to hear your thoughts about the difference of the machines. Also, if you have any questions at all, I’d be happy to answer them. I love both machines, and would recommend both of them depending on what you will be creating with it. Hi, everything Cricut explore does I can do it with the Cricut Maker? You can do everything on the Cricut Maker that you can do with the Explore Air 2, but you can’t do everything with the Explore Air 2 that you can do with the Cricut Maker. The Maker has more force and power. It has the rotary blade to cut fabric and it will also have a knife blade and will be able to cut thicker material such as balsa wood. Thank you for this information. I’m going to purchase the maker mainly for cutting fabric and vinyl for shirts. What accessories would I need to have extra in order to do this? If you’re purchasing the Maker, it should come with what you need to cut fabric and iron-on vinyl. You will probably want to get some iron-on vinyl to cut. I prefer the patterned iron-on, glitter iron-on, and foil iron-on. It tends to last longer through washing than the regular iron-on. Also, I highly recommend the Cricut EasyPress to use for the iron-on designs, but it isn’t necessary. You can use your at home iron. 🙂 Let me know if you have other questions! I’m not sure what kind of plastic discs you’re referring to. Do you have a link to the material that you could share with me? Question…but the cartridges design, can not be found in the Design Space ? 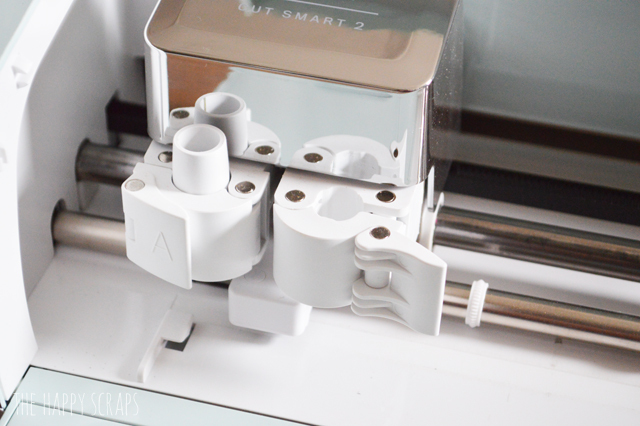 Can I use all my accessories from cricut Explore Air with the Maker ? As I understand it, you can now LINK any purchased cartridges right in Design Space. 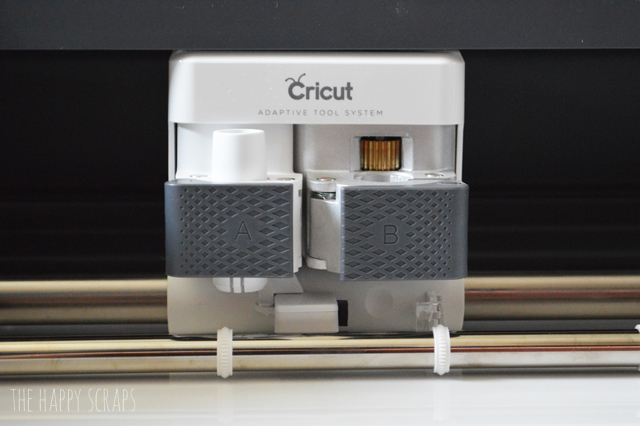 There is a Cricut adapter you can use to link your cartridges. I have been collecting for several years. Was very sad when I saw it was missing. But want to cut more than paper, so am making the leap. My kids want my Cricut Air and all the cartridges after I link them. So they will be used for awhile longer. I love the new print and cut files more than the older files anyway. So, am purchasing Cricut Maker soon and downloading the pdf files for the linked cartridges so I can still refer to them. Good luck hope this helps. Does the Cricut Maker have the fast cutting mode like the Air 2? The Cricut Maker is better at cutting fabric. I’ve never cut thin leather with mine, but I have cut faux leather with the Air 2 and it did it okay. I know the Maker would cut the leather like a dream, because of the rotary blade. What accessories does each one come with? So does the Air 2 cut fabric at all? I’m trying to understand what the rotary blade is useful for (compared to the blades it already comes with) if the AIR 2 can cut all shapes and 100’s of materials. I’m trying to decide between the AIR 2 or the Maker. Also, I have read that the AIR 2 can cut dog tags (etching?) and the maker can not. The Air 2 can cut fabric, BUT the fabric has to be backed. The Maker can cut fabric without it being backed because of the rotary blade. The Maker can cut and do anything that the Air 2 can do plus more. The knife blade hasn’t been released yet, but when it is, the Maker will also be able to cut balsa wood and thicker material because of the knife blade with is like an exacto knife on the machine. I have never used the Air 2 to cut fabric, but I’ve seen tutorials for it. As for your question about dog tags, I am not sure. I have seen the original Cricut Explore (basically the same thing as the Air 2) cut a thin metal, but I don’t know if either machine could etch on metal like a dog tag. Hi there. Thanks for posting about the differences. The main thing in trying to find out, and have yet to, is can the maker cut acrylic? Do you know? Thank you for replying! Oh I don’t have a link sorry, I’m just wondering in general. It would be the type of acrylic to make cake toppers, so thick enough to stay upright I guess! Sorry I can’t be more specific, I’ve never done crafting before so haven’t actually looked into material types specifically, I’ve just seen some really cute toppers which I assume are acrylic… And I fancied giving it a go if I bought the maker. I would really like to know if it could cut acrylic also, something like this ? No, it is not recommended to cut acrylic like this with either machine. What do you mean when you say the Maker can cut fabric “without backing” what is backing? Like adding a fusible stabilizer to the material first? Can the maker cut batting. Like what you would put in a quilt? Hi Marquet, the cut list does have quilt batting listed on it. I have not tired cutting it. I for sure think that the thin, natural batting type would be very easy to cut. The batting that is thick (like 1″) probably wouldn’t work. Yes, when I say without backing, I just mean that you can place a piece of cotton fabric right onto the cutting mat. No need to add a fusible stabilizer to it first. I am trying to decide on whether or not to get a Cricut Air 2 or the Cricut Maker, I read that the Cricut Maker can cut fabric easier and without backing but what kind of things would/can you make considering the machine is not all that big? Would it be faster to cut out multiples with cricut maker than by hand? I think the machine is easy to use, but I’ve also been using Cricut machines for years. I feel like if you can get an idea of how Design Space works, then using the machine should be easy for you. If you have any questions about the machine, feel free to ask me. I’d be happy to answer any you might have. Hi! So I’m considering switching over from a Silhouette. I’m not happy with the performance it gives at all, and having to switch the setting on the actual blade every time is a pain. I like how the Air 2 had a dial… That seems so easy! But I also love the idea of cutting fabric with the Maker. My only hesitation is that it doesn’t have the dial. Is it just as easy/quick to change settings in the software or is it a bit more of a process? Does that make sense? Bought a new Cricut Maker a month ago, signed up for design space. Very easy to use out of the box. Will need more study on internet to download my own jpeg, lettering, etc. so much info on YouTube. I thought I’d only be cutting fabric but I am making tons of cards, paper crafts. Hope this helps anyone deciding to make the jump. I have never done die cutting before. Yay! I’m so glad you love it! They sure are fun machines! Hi! I bought a huge stack of beautiful shimmery silver and cream cardstock in 8.5×11, and I want to use a snowflake pattern, but it only seems to work for 12×12 cardstock. how can I edit the machine to add sheets so that it prints only 1-2 snowflakes at a time, vice 4 at a time? Wife ask for a cricut for Christmas, didnt realize It was different machines. Which one would you recommend? Hi Frank, do you know what kinds of things your wife would like to make with the Cricut? If she enjoys sewing, then the Cricut Maker would be a great machine for her. If she enjoys paper crafting and wants to cut vinyl, the I would suggest the Cricut Explore Air 2. It’s a great machine that can do a lot of different things. Let me know if you have other questions, I’m happy to answer any you might have. Hi Amy, but if you enjoy both, sewing and crafting, then would you recommend the Maker? Ive never owned a machine before. Is the maker the only one which can but balsa? Do both machines cut the same level of detail? I am hoping to purchase as a gift for my artist son. I am thinking he will cut his original designs/characters on wood, fabric, etc. Very hesitant to spend the higher price for the maker, but fear under-buying features he would use if I go with the air 2. thoughts? What am i not getting by buying the air 2 as far as cutting potential. I don’t care about style or convenience features at the moment. Thank you! If your son is planning to cut fabric, I would recommend the Maker machine. It has a rotary blade for cutting fabric, and it will have a knife blade for cutting wood. It will be able to cut wood better than the Explore, but the knife blade is not available yet. As far as the detail that both machines can cut, I’d say they are about the same. It really comes down to the different materials that can be cut with each machine. The Maker can cut everything that the Explore can cut plus more. Let me know if you have other questions. Thank you so much for your willingness to answer questions. You’re a great help to those of us who are trying to figure the Cricut out. I currently do not own a Cricut but do plan to purchase one. I would like to start a side business for extra income. I do not sew, therefore, would not need the Maker for this purpose. However, I do like the idea of being able to cut thicker materials. 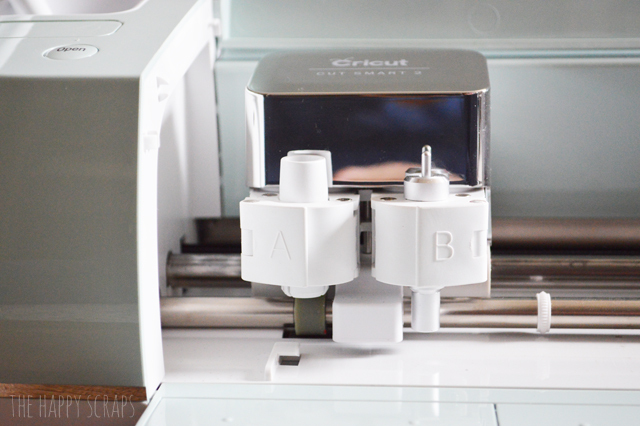 If you were only going to use one Cricut model, which would you choose, the Explorer 2 or the Maker? Thank you. I’m 65, never used anything like this! I make wreaths and would like to cut words for heart wooden cut outs my husband makes me. This is basically all I will do. Do not have a computer but do have an iPhone. Is a laptop/ computer necessary? I know that you can run the machine using an iphone, but I’m not sure if you have to have a computer to set up the machine. I will see what I can find out and try to let you know. Hi! Which one would you suggest is best for vinyl? Down the road hope to do things on fabric as well, but starting out with heat press vinyl. I worked with industrial vinyl cutters at my previous job, and I am looking for something financially friendly and for home use. If you are primarily going to be using the machine for vinyl, I would recommend the Explore Air 2. I have both, and when I cut vinyl, I use my Explore Air 2 over the Maker. 🙂 Let me know if you have other questions! Aloha, I’ve only ever used the first Cricut machine and I’m looking to purchase the best and latest model. What would you recommend? Since the Air 2 has the dial setting does it make the maker harder to use? Also, can you send designs directly from your iPhone to cut? Being that the machines are pretty pricey I’d just like to make sure I spend money on the right one. Lol! I started with the original Cricut machine too! You will LOVE it if you upgrade to one of these! Both machines are super easy to use, and having the smart dial (Air 2) vs. needing to set the material on the computer/tablet/phone isn’t an issue. It is super simple for both. Depending on what you plan to use the machine for I would recommend different machines. If you are primarily going to be using it for cutting paper and vinyl, then I would say the Air 2. If you plan to cut fabric and thicker materials, then I would say the Maker. They are both great machines and easy to use! Does the Explore Air 2 cut Balsa wood? Thank you for such good information on both machines. I have a Cricut Expressions 2 but would love one of the newest machines. After reading your post, you’ve helped me decide between the Air 2 and the Maker. I think the Air 2 is perfect since I’m not interested in cutting fabric. I absolutely LOVE my Cricut E2 and look forward to updating to the Air 2 based on your recommendation. Hi. If you say the cricut maker can cut everything the air 2 can, then why do you use the air 2 more often? 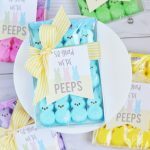 Are there certain materials the cricut maker does cut as well? Trying to decide which machine I should get. Hi Karen, the Cricut Maker can cut all the materials that the Air 2 can cut, but the Maker can also cut more things. Fabric, wood, thick chipboard, etc can all be cut with special blades on the Cricut Maker. Those blades are not compatible with the Air 2. 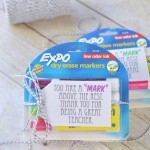 If you’re cutting paper, vinyl, iron-on, etc. then the Cricut Explore Air 2 would work great. If you plan to cut fabric and thicker materials, then the Maker is what you would need. Let me know if you have more questions. Does the Cricut Explore Air 2 cut felt? Like the squares that you buy in the craft stores? You can cut felt with the Explore Air 2, but it needs some kind of backer. I’ve never tried it, but I read somewhere that you could use freezer paper as a backer for it. I know that heat n’ bond works for it as well. Hey! I am considering one of the two machines. Will the machines be able to use .bmp files as I use AutoCad and can export files from a .dwg file to a .bmp file. Also, is the software compatible with a MAC? 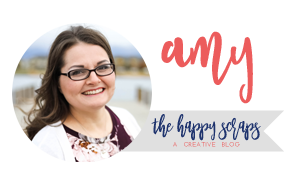 Yes, you are able to upload .bmp files to use in Cricut Design Space. It does work with a MAC as well. 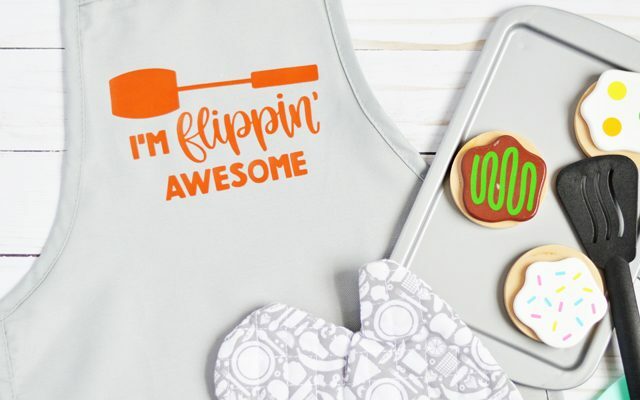 You can create a free account at design.cricut.com and play around with the Design Space software before you purchase a machine to see if it will do what you’d like. Let me know if you have other questions, I’d be happy to answer them. Yes! They both cut vinyl beautifully! I’m torn between the Air 2 and the Maker..I will be using it for vinyl mostly and maybe thin material like cotton or felt for basic shapes and letters (not for quilting purposes more like ironing on tee shirts). What would you recommend? If you’ll be cutting fabric at all, I would recommend the Cricut Maker. You can cut fabric with the Air 2, but it requires that you use a backer. If the fabric projects that you’d be using it for would require a backing anyway, I’d say you could get the Air 2, but if they don’t require a backer on the fabric, then I would get the Maker. It would save a lot of time from having to put a backer on your fabric. I tend to use my Air 2 when I’m cutting vinyl, but they both cut vinyl equally well. Let me know if you have any other questions! If I was to cut fabric with the Maker and wanted to apply it to a tee, I would still have to put some sort of heat n bond on it, if I didn’t want to sew it on, correct?!? 3. I’d like the option to cut through novelty heavy card stocks and papers like sequence and heavy glitter. Side note: what are these cartridges i’m reading about? For the most part, the speed is automatically set on both of these machines. If you want it to go faster, you can tell it in Design space that you want it to go faster with the Air 2, I’m not sure if you can tell the Maker to go faster or not. I don’t ever use those settings because I feel like both machines cut quickly anyway. The both cut very precisely. With the Maker, the rotary blade can cut from 3/4″ and up. It can cut smaller with the fine point blade. If you are cutting tiny precise images, you would need to use the fine point blade in either machine. I use the fine point blade the majority of the time. and it cuts all different mediums beautifully. You can create a free Cricut account at design.cricut.com and play around in Design Space to get an idea of it. Either machine has a long list of materials that it can cut. Some may require the deep cut blade. The cartridges that you hear about are not required. Cricut has images that you can purchase the entire cartridge of, the single image, or you can upload your own images and use the fonts on your computer. Let me know if you have other questions, I’d be happy to answer them. Hi, I’m in Australia and although we can use design space, we cannot get Cricut Access. A bit annoying! I have the Explore Air 2 and love it to bits! But I was wanting to also purchase the Maker but it says Design Space is only available with Apple operating systems. I have contacted Cricut Support but I’m still confused. I use my laptop that is Windows operating. Can I still use my Windows laptop to work the Maker in Design Space. I don’t want access to pur hase in Design Space just create my uploaded designs and fonts to cut. I’d appreciate your insight if you have some. I don’t have a firm answer for you, but I would think if you can use Design Space with your Air 2, I don’t know why you wouldn’t be able to use Design Space with a Maker there, on a PC (not a Mac). I was not able to find any information on this specifically. 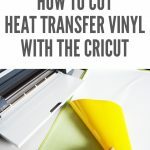 Are there any Cricut FB groups in Australia that you could ask in? Sorry I’m not more help! Thanks. I’ll look. I appreciate you taking the time to get back to me. I did hear back, and am told that Cricut Design Space will work the same on the Cricut Maker and the Cricut Explore Air 2 on a PC for both machines. Can you direct me to where you found that the Cricut Maker could only work with an Apple? I can try to get that information updated. Thank you! Can either machine cut felt? Yes. Both machines can cut felt. If you use the Explore Air 2, the felt has to have a backing (heat n’ bond) put on it. With the Maker, there is no backing required. You just use the fabric mat and the rotary blade. How hard is it to do multi color designs for tshirt transfers? It depends on how many layers. I recently did one that had four layers, and it worked well. 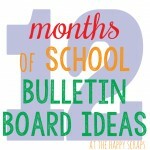 I have a post up that has two layers you could check out for ideas. (https://www.thehappyscraps.com/2018/03/toddler-st-patricks-day-shirt.html) Also, when you are layering the iron on, you can do the first layer for less time, let it cool, peel the transfer sheet, then add the next layer. You just need to make sure that all of the design is covered with a carrier sheet when using the EasyPress, iron, or heat press, otherwise it can melt. Let me know if you have other questions. does the Maker need internet access? If I’m reading everything correctly the Air 2 works with the design studio with bluetooth. Same with the Maker? Yes, both machines work with Bluetooth. Both machines need internet access to be used with Cricut Design Space. If you have an iPhone or iPad, you can save designs, open them from the app, and cut them on your machine, without having an internet connection, from what I understand. I haven’t tried it though. Hi, I am trying to decide between the Maker and Air 2. I have never used Cricut before. I am not sure to what extent I will use the machine. I know for sure I would be cutting paper. Just not to sure on fabric. I want an all inclusive machine. Please help lol. I am getting ready to purchase my first cricut. I am leaning more towards the Maker for the versatility. Since I have never owner a cricut before can you recommend any packages or add ons that would be helpful to purchase when I buy my machine. 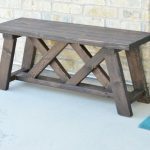 I will have no tools with just getting started so would like to know what you recommend? What kinds of mediums are you wanting to cut? 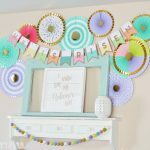 If you are planning to use the Cricut machine for paper, vinyl, iron-on, etc., then I would order the Cricut Maker Everything Materials Bundle. If you are planning to use the machine for cutting fabrics, then the Essentials Set for Cricut Maker. These bundles do not include the machine. I’m thinking lots of vinyl, some paper, thin leather. Later I would like to add the balsa wood. Cloth will be for experimenting down the road. Also, do I need any type of heat press to adhere the vinyl to different products? If you’re planning on using iron-on or heat transfer vinyl, then an EasyPress would be great. You can also use your personal iron. That is what I used up until last year. I LOVE my EasyPress, and makes pressing so much easier. That said, I wouldn’t say it’s a necessity starting out. 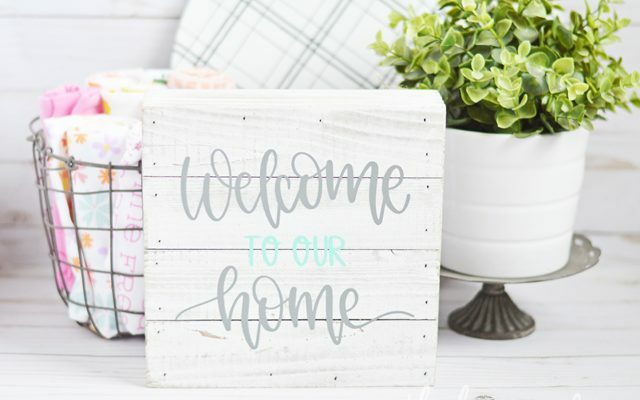 🙂 If you plan to cut balsa wood and fabric down the road, then the Cricut Maker would be the machine for you. 🙂 Please let me know if you have any other questions. I’d be happy to answer them! Is there a difference in vinyl? If so, how do I know when to use the different kinds. I noticed something called vinyl lite and iron on vinyl then just vinyl. Thanks again for the great information you give. It is helping me purchase the right supplies for me! There are a variety of vinyls to choose from. There is adhesive vinyl that you can cut, it’s kind of like a sticker. Iron-on vinyl is what you can cut and iron-on to fabrics and other material. There is iron-on lite, iron-on glitter, iron-on foil, etc. There is a large variety of types of iron-on. You may also hear it referred to as heat transfer vinyl or htv as well. Please let me know if you have any other questions! I hope you enjoy your machine when you get it! Are there any books available that would have projects and instructions on how to use design space to do them? My fear is that once I get my cricut maker out of the box I wont be able to figure out design space. 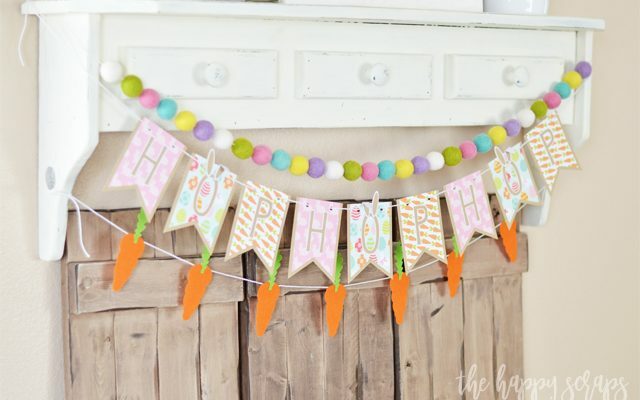 Hi, I have the Cricut Air 2 Explore and I want to know if it or the Cricut Maker can cut Italian Crepe Paper. Let me know if you have other questions. I would be happy to try and answer them or ask others that may know the answer as well. I have a Cricut Expression but I am interested in upgrading to a new machine. I have a large number of my cartridges linked to my hand-held Gypsy…would I be able to use or transfer my cartridges on either machine if already linked to my Gypsy? Hi Amy, I’m looking into the maker and air 2. I see that the maker can basically do everything and more than the air 2 but it say that circuit cartridge are required to be bought separately for the maker, yet, the air 2 comes with them. How does that work and what overall affect does it have? I would hate to buy the maker then need to spend an additional 100 or 2 for cartridges that come with the air 2. Is there a necessity for the cartridges? Thank you for your time! I’m not aware of cartridges that come with the Air 2. 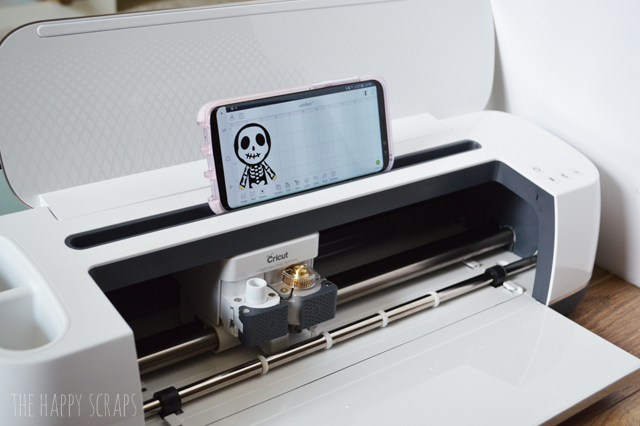 For both machines you can link the cartridges that you might already have, or you can look up images and purchase individual images within Cricut Design Space. If you use a Maker and need to link cartridges, there is an adapter that is required and would need to be purchased separately. The Air 2 has a slot that you can link the cartridges with. Also, both machines work great for uploading your own images, and you don’t have a need for the cartridges. You can also you any font on your computer with both machines. Let me know if you have any other questions, I’d be happy to answer them! Do either machines work with vectored files? If not, what types do they accept? Hi Julie, Yes, the Cricut Explore Air 2 and the Cricut Maker both will cut SVG and DXF files. I’ve used SVG files and they cut beautifully with either machine. Does the air 2 or maker need to be connected to a computer with a cable to print designs? Are they wireless? My computer is not in my craft room. I am looking into getting a cricut. I want something that I can Use to make decorations for my classroom and at home as well as maybe something I can use for quilting. I’m going back and forth between an Air 2 and the maker. What do you suggest to start with? What do you think sets the maker and air apart in what they can do and what could I not do with the air that i could with the maker? If you are wanting to cut fabric at all, then I highly recommend the Maker. It is possible to cut fabric with the Air 2, but it requires you to use a backing on the material, and there is a chance that the cuts won’t come out as clean. The rotary blade on the Maker is a game changer for fabric. The Air 2 is a great machine also! I have both machines and find myself using both machines often. You can’t go wrong with either one. I have an older machine and I have loaded all my cartridges on the gypsy. My question is how do I get them loaded on to either of the machines? I have the Cricut Maker. I purchased vinyl, transfer paper, foil iron on, and foil that has adhesive backing (for lettering and design on cards. I have the rotary blade and the fine point blade that it came with. Do you recommend any additional blades, or the knife? I would like to cut leather and thin wood at some point. 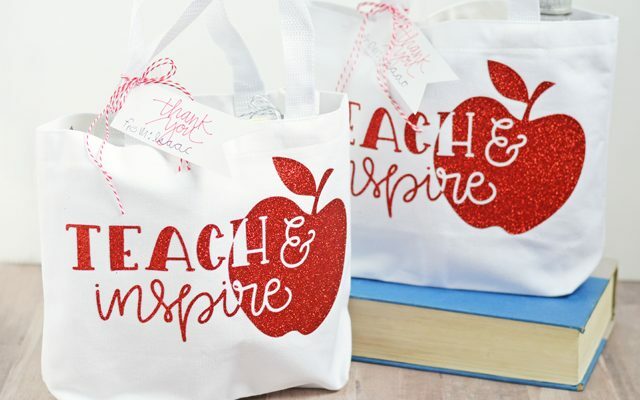 Also, do you know if you can use non Cricut branded materials to create crafts. I like their products, but there are several other brands that are more economical. If you plan to cut leather and thin wood, I would recommend the Knife blade. Yes, you can cut other material with your Cricut machine. In the cut list options, the Cricut brand items have a the Cricut symbol by them, and the non Cricut items don’t. 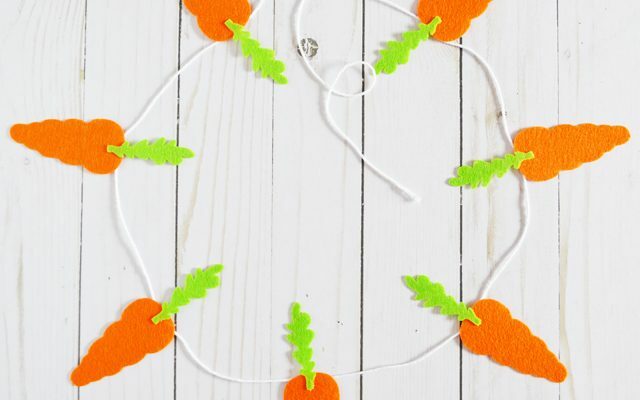 You can find so many fun things to cut with your machine on that list. 🙂 Let me know if you have other questions. I would love to use the Cricut for cutting out logos for my salon capes and for clothing. Would either work for this? Hey! So I am confused about the accessories. Can I buy ANY bundle for the Cricut Air 2 and use them with the Cricut Maker? I couldn’t really find a bundle on amazon for the maker, but could for the air 2. I would just much rather buy a bundle of everything I need for all projects instead of having to purchase everything seperately because I will probably have no idea what all to get. I read a lot of the questions on here but didn’t get a clear answer. 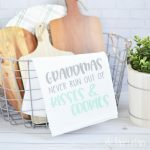 Are there any more places to find bundles of everything for different projects? I have a question… I would like to know which machine will better to design logo for insulated bags and for the hard coolers and what material should I buy? The Cricut Maker or Explore Air 2 would both work for design/cutting logos. I’m not sure what kind of material to recommend for the insulated bags. I don’t think adhesive vinyl would stick to those, but I don’t think you could use iron-on or heat transfer vinyl for these because it could melt the inside when the heat is applied. For hard coolers, I would recommend permanent adhesive vinyl. I am trying to learn all this. All these questions and your helpful replies I appreciate so much. So, my question.. if I buy either I have to buy designs to be able to use? I am confused on that part. Sounds like it can get expensive or do you all search the internet for free patterns? You do not have to buy designs. 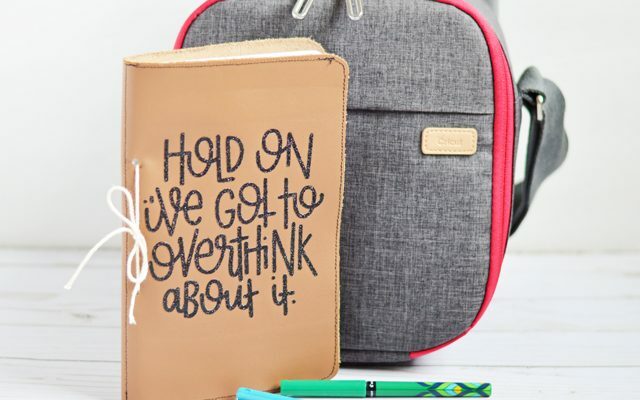 There are several designs available that can be purchased, but you can design your own that you upload into Design Space or if you find a design online that you like. 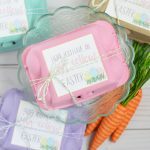 There are lots of places to get designs and fonts (free and paid) that you can use with the Cricut Machine. Can you cut felt and such with out the sticky mats with the maker? I’m thinking long run and supplies, if the maker doesn’t go through mats and stuff as fast, it’d be worth it. I want to get to to the cricut community but can’t constantly but replacement pieces. Thank you!!!! Also I plan do a lot of felt and vinyl and paper. Homeschool mom here, ha ha! If I get the maker, I would consider balsa, but not a necessity. Thanks! To be able to cut felt with Maker, you need the pink fabric mat. The fabric mats actually last quite a while. I’m surprised at how sticky they still are after getting fibers on them from felt or other fabric. Also, you can clean the mat if it loses its sticky. See this post: https://www.thehappyscraps.com/2017/11/how-to-clean-your-fabricgrip-cricut-mat.html Let me know if you have other questions. I really do love the Maker and I feel like the supplies that go along with it (blades, mats) last a long time. Is the print and cut size the same for cricut air and maker? I don’t know which one I should get, I pretty much just want to be able to print vynil to make cute cups, every now and then maybe use vynil for shirts or make cute thank you notes. Which one wpuld be better? I am looking for a Cricut to cut stencils for paint to use on walls, wooden signs etc. What is the best machine for this? The Maker or Air 2. What kind of material do you plan to cut? Will you be using vinyl for stencils? If you’re cutting vinyl for the stencils then the Air 2 would work perfectly for what you would need it for! If you’ll be cutting something thicker for the stencils, then the Maker would probably be the way to go! I’m interested in purchasing a cricut. I would be using it to make props for stage and floats. Which would work best for me? I’m new to all of this, I just saw that a lady had made palm tree leaves with one using card stock and now I’m interested. It would depend on what kinds of materials you’re wanting to cut. If you plan to cut cardstock, paper, vinyl, & iron-on type materials, then the Cricut Explore Air 2 would be a great machine for you. If you plan to cut thicker materials like 2mm chipboard, fabric, or thin wood, then the Cricut Maker is what you’d need. If you have specific questions about these machines, please let me know! Was debating on getting one of the circuits but I seen a lot of reviews that you have to pay to use the design space and for it to cut and pay for the fonts ? Does either one have a USB port so that designs can be loaded from the USB?